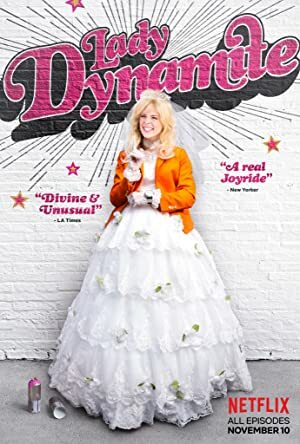 Lady Dynamite – Season 1 (2016) – What's New on Netflix Canada Today! Series is based on what Maria has accepted to be “her life.” The occasionally surreal episodes, refracted across multiple periods of the actor/comedian’s life, tell the story of a woman who loses – and then finds – herself. Comedian Maria Bamford stars in a series inspired by her own life. It’s the sometimes surreal story of a woman who loses — and then finds — her s**t. She had it all, until she lost her grip. A true-ish tale of fame, romance, talking pugs and life after the psych ward. Series is based on what Maria has accepted to be "her life." The occasionally surreal episodes, refracted across multiple periods of the actor/comedian's life, tell the story of a woman who loses – and then finds – herself.